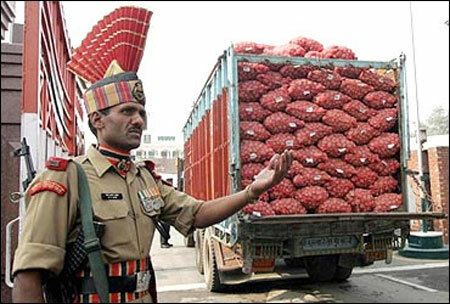 Along queue of about 300 trucks loaded with vegetables, raw cotton, soyabean meal (soyabean oil cake) at the integrated check post on the Attari border in Punjab belies the brewing tension on both sides of the border. There were 301 trucks from the Indian side on January 15. The next day, it came down to 279, indicating the undercurrents on the business front. According to customs officials, the cross-border movement of trucks will drop further. 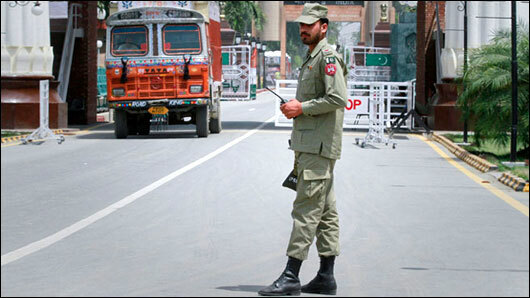 The repercussions of the violence on the Line of Control (LoC) may not be conspicuous on the Attari border as trade activities are on, but the ramifications are bound to come. 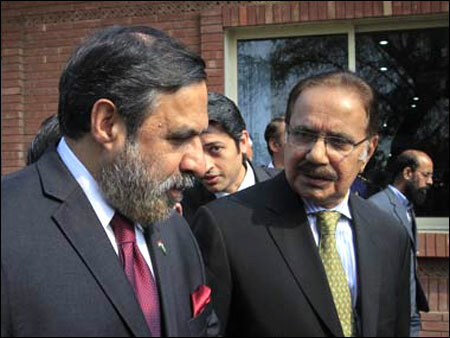 Image: India's Trade Minister Anand Sharma (L) talks with his Pakistani counterpart Makhdoom Amin Fahim. 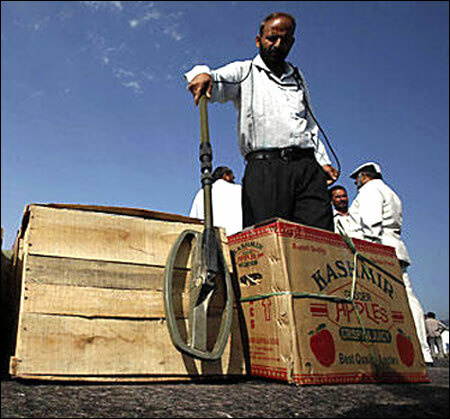 Vegetable exporters, who ship their products through the dry port of Attari, have become 'cautious' following the latest incidents on the LoC and the fluid political situation in Pakistan. Most vegetable exporters use the DP (documents against presentation) mode for payment, which, according to them, is risky. This is because if the relations between the two countries weaken, they might lose payments. Exporters of non-perishable items like cotton use the LC (letter of credit) mode, which is safer. According to Rajdeep Singh Uppal, president, Narain Exim Corporation, there is a sense of fear among exporters of perishable commodities, as they export on a DP basis. "They can't export on an LC basis because of currency fluctuations," he said. At present, India's exports to Pakistan include tomato, onions, raw cotton and soya meal, while imports include cement, dry fruits, rock salt and gypsum. Uppal said, "The political instability and tension prevailing along the LoC have made us cautious. As far as the movement of trucks is concerned, these shipments were already on roads. Now, the exporters are cautious while accepting new orders." Uppal, who exports tomatoes and other vegetables, said the real picture would emerge in about two weeks. Echoing similar views, a senior custom clearing agent in RB Ramnath Lal & Sons said that LC payments were guaranteed payments to exporters, while in DP, there were chances of losing payments. "At the moment, caution is the buzzword among the perishables exporting community," he added. "Bilateral trade is triggered by sentiments, and if the sentiments are negative, the outcome cannot be positive," said Dalip Shama, regional director of PHD Chamber of Commerce and Industry, Chandigarh. Over the past five years, the chamber has mobilised delegations from all important towns of Pakistan to create an enabling environment of business. It has also been organising annual Indo-Pak trade fairs for the past seven years. However, the recent untoward incidents may jeopardise the progress by the chamber for the last 10 years, said R S Sachdeva, co-chairman of PHD Chamber. According to customs data, Indo-Pak trade through the Attari border witnessed a quantum jump in the first nine months (April-December) of FY13, compared to the corresponding period of FY12. 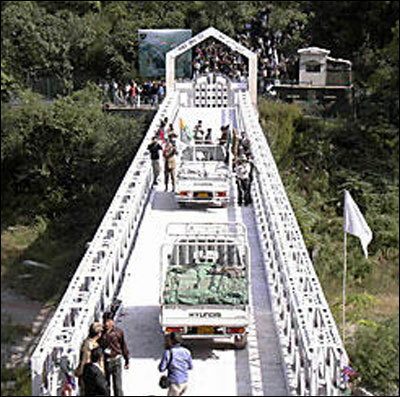 According to traders, the inauguration of the integrated check post at the Attari border on April 13, 2012 is one of the factors behind increase in trade volume. Imports grew 93 per cent during April-December 2012, while exports witnessed a growth of 73.5 per cent over the corresponding period of the last year. Despite significant growth in imports, the balance of trade is still in India's favour. Farmers growing fresh vegetables in the border districts of Punjab had started making a fast buck after the trade between two countries improved after the opening of the Attari border. They may be back to square one if exports to Pakistan become sluggish. That might happen if the bitterness on the political front continues.